Guti isn't your run-of-the-mill electronic artist. Rather, it's the Argentinian's deep-rooted love of jazz and rock that form the foundations of his musical craft. Although today he's best known for his work alongside Desolat, Defected and his own Rompecorazones imprint, there was a time when he was revered as the keyboard player in Jóvenes Pordioseros, a Buenos Aires-born band that enjoyed huge commercial success both home and abroad. Many in his position would have been content to live out the life of a rock star, but Guti harboured a burning desire to explore new paths. Around 2007, he started experimenting with making house and techno, beginning a journey that would transform him into an established force on the global dance scene. Famously, it was Loco Dice and Desolat that gave Guti his big break. After licensing one of Guti's tracks for his NRK mix The Lab 01, the German DJ requested he send him some more music. All of what Guti sent Dice loved, and in 2008 Guti was invited to Europe to join team Desolat (tINI, Livio & Roby, Martin Buttrich). Without a moment's hesitation, he packed his bags and dived head-first into his new life, playing live and supporting Dice at clubs and festivals the world over. He had been making house and techno for barely 12 months. In 2008 he settled in Berlin, where he shared a flat with a young Seth Troxler and Ryan Crosson. Spending his weekends gigging hard and partying harder, Guti would use the week to work tirelessly at his production skills. It was here that he developed his passion for making music alongside others, putting out EPs with Dubshape (Crosstown Rebels), Ryan Crosson (Supplement Facts) and Shaun Reeves (Wolf + Lamb). From these sprang up Guti's first hit records—"You've Got Me," "Every Cow Has A Bird,"—catapulting him further onto the world stage. With his profile steadily on the rise, he left for Düsseldorf to immerse himself further in the world of Desolat. The Düsseldorf years were the building blocks of Guti's artistry. His Desolat debut—the six-tracker Las Cosas Que No Se Tocan—dropped in 2009, followed in 2011 by his first solo full-length, Patio de Juegos. The latter, put together in partnership with Loco Dice, offered the first solid glimpse of Guti the musician; of Guti outside of the club realm. Something else changed, too. From that moment forward, Guti was no longer viewed as just a Desolat artist, but as a performer in his own right. His booking schedule blew up, including sets at near-on every party in Ibiza across the 2012 season. Around the same time, he put out a spate of high-profile records on Saved, Crosstown Rebels and Carl Cox's Intec Digital. 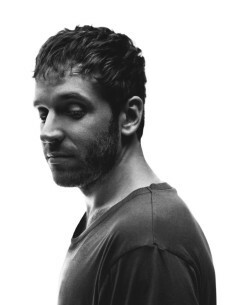 In 2013, he played even more shows on the White Isle, buoyed by his summer smash for Defected offshoot DFTD, "Hope." Officially his second release for the UK label, it would cement a relationship that would set Guti up for the next stage in his career. That same year, 2013, Guti upped and moved to Barcelona, in search of warmer weather, a more relaxed vibe and a greater volume of Spanish speakers. Once settled, he set about building his dream recording studio, installing a raft of analogue synths, drum machines and, the pièce de résistance, a grand piano. It was here, sat at his piano looking out across Barcelona's picturesque skyline, that Guti set about sketching the ideas for Rompecorazones, his second, jazz-infused album. Backed by Defected, Guti flew over some of Buenos Aires' most talented session musicians, jamming and writing day and night until the LP was approaching completion. Knowing the album wasn't right for Desolat, he set up his own label, also called Rompecorazones, and released it that way. In May 2014, it hit the shelves to considerable critical acclaim. More than just an album, though, Rompecorazones was a statement of intent. Channelling that same restless energy that brought him to electronic music in 2006, Guti was keen to reconnect with his music-playing roots, away from the restraints and confines of the four-to-the-floor pulse. The album was, in many ways, a bridge between the old Guti and the new, a gateway through which to engaged with this new chapter in his career. From here on in, the label will exclusively host Guti's home-listening excursions, whether they be forthcoming collaborations alongside Francesco Tristano and world-renowned French pianist Julien Quentin, or solo work. He wants to make music for other contexts, to widen the scope of possibilities for the future.